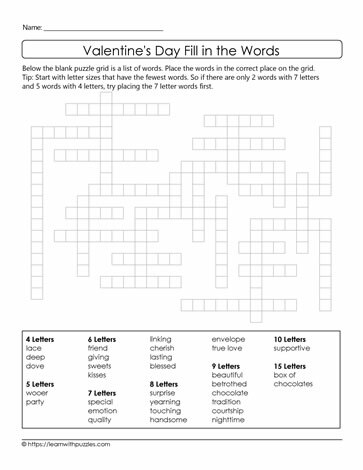 Freeform crossword puzzle to activate and engage students' vocabulary building and problem solving skills. Suitable for students in elementary 3,4,5 grade classrooms. Solution tip: start to fill in the blanks with words that have the least number of letters.